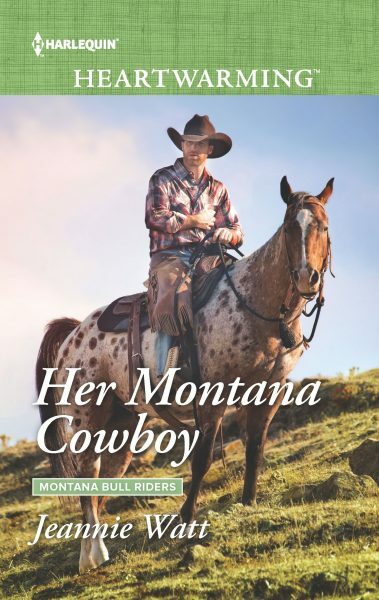 My first Harlequin Heartwarming–HER MONTANA COWBOY–will be released on August 1st and I’m very excited. I’m also excited by the fact that the cowboy on my cover looks very much like Prince Harry! Lillie Jean smelled like lilacs, a scent Gus knew well, due to the thick hedge near the ranch house that burst into blossom each spring, filling the air with perfume and sending old Sal’s allergies into high gear. He hated that he noticed that Lillie Jean smelled good. Hated the way the delicate floral scent made him feel like leaning closer and taking a deeper breath. In fact, it was really annoying to find himself feeling that way, so he was very glad to finally arrive at the car. Lillie Jean put her hand on the door handle before he’d rolled to a stop, and he automatically reached past her to keep her from opening the door. She shot him a startled look, which he met with a frown, once again doing his best to ignore the lilacs and the incredible color of her eyes. 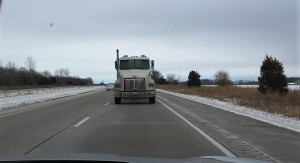 “Is it okay now?” Lillie Jean asked as she eyed the giant rear wheels. “Yeah.” He put on the hand brake and set a hand on the back of her seat to maneuver himself out of the cab. Lillie Jean took the hint and climbed down the stairs and jumped to the ground, quickly moving out of range of those big tires. Gus followed her and then reached up to drag the chain off the floorboards under the seat. The mud was deep and water soaked into his jeans as he crouched down to attach the chain to the frame of the big car. Once done, he motioned for Lillie Jean to get into the driver’s seat. “So that the steering wheel works. From the way her jaw muscles tightened, Gus deduced that she was starting to hate him a little. “I knew that.” She abruptly turned and headed toward the car, mincing her way across the lumpy half-frozen mud next to the door. Gus climbed into the cab and, once Lillie Jean was situated behind the wheel, he gently eased the tractor back until the chain was taut. He continued inching backward until the car jerked, then moved forward. Lillie Jean kept the wheels straight until finally the car was free, and he swore he could see her biting her full bottom lip as she concentrated, even though they were separated by twenty feet and two windshields. Once he was certain Lillie Jean wasn’t going to throw the car in gear or anything unexpected, he moved the tractor forward so that the chain sagged. HER MONTANA COWBOY is available for pre-order right now and will be officially available on August 1st. Hello everyone! I hope you’re having a great Wednesday! I’d like to take this opportunity to tell you a little about my latest release. I usually write contemporary western romance. It’s kind of my thing. 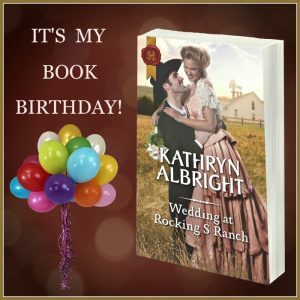 However, my most recent book is a sweet contemporary set in Marietta, Montana, and since this is my very first (official) sweet romance, I wanted to share it with you. Originally the story, which is the last book of Tule Publishing’s Holidays at the Graff series, was supposed to take place on and around St. Patrick’s Day, which happens to be one of my favorite holidays. Previous books took place at Halloween, Christmas, New Year’s (waving at fellow filly Marin!) and Valentine’s Day. 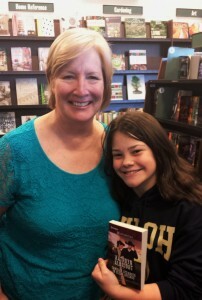 Since my book was the end of the series, a wedding was in order, so we decided to make my book Wedding at the Graff. (I still worked in St. Patrick’s Day. Yay!) The only problem was that my characters weren’t yet dating. Yikes! The only solution was to make them friends who’d always secretly been aware of the the other. But what’s going to keep them apart? A ‘stolen’ heirloom ring which the heroine has in her possession and which the hero needs to return to his boss, her former fiance. Michael Donovan pulled the photo closer. He’d only seen the antique emerald and diamond ring a half-dozen times on Colleen Flanigan’s finger. Once she’d become engaged to Garrett, he’d removed himself from her life. It was the only way he could handle the situation. Tamp down the gut-wrenching sense of loss and move on. Michael raised his gaze. He had not been aware. The late Hugh Hawley Sr. had been both generous and business-savvy. He was the reason Michael had his education, and the reason he had a job at Hawley Enterprises. He was also the reason Michael was tied to the company for three more years. No doubt. The Flanigan Stone, as Colleen had called the emerald, was a Flanigan heirloom that the Hawleys had gotten possession of, either by purchasing or stealing, depending on who told the story. 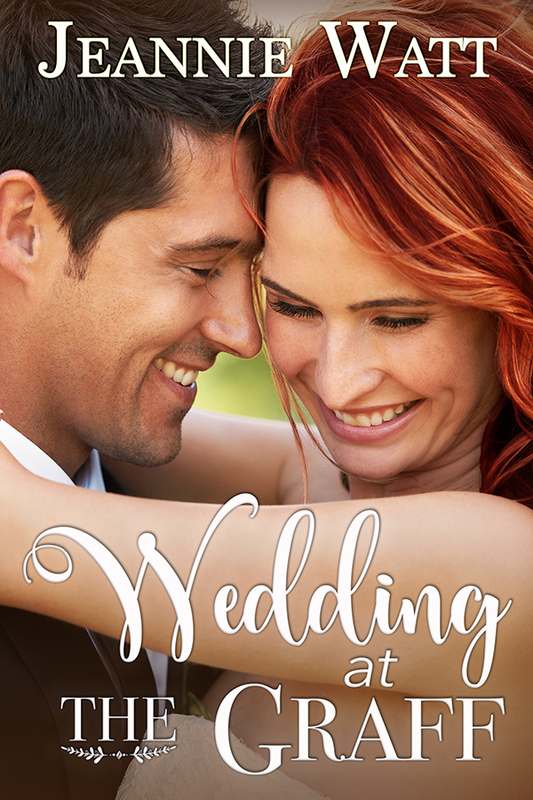 Colleen and Garrett’s marriage was supposed to put an end to the family feud…but things hadn’t worked out that way. If anything, their failed relationship had thrown gas on the fire. “Seems kind of a shame,” Michael said. He meant that in many senses. It was too bad that the pristine stone would be pried from its antique platinum-and-white-gold setting. Too bad that high-maintenance Barlow would be wearing it. But Serena had Hugh Hawley Jr. wrapped around her finger, and what Serena wanted, Serena would get. Which meant that Garrett would do what he could to retrieve the stone, which was why Michael was there for the late-night drink in the offices of Hawley Enterprises. Garrett leveled a speaking look at Michael. “Point one percent.” Garrett sounded as if he’d just had the statistic hammered into him, which he probably had, since he and his father had been closeted in Hugh Jr.’s office during the latter part of the day. Michael had assumed it had something to do with procuring new financing for their latest condo project, but apparently not. Garrett smiled the wry half-smile Michael rarely saw anymore, looking for one fleeting moment like his old fraternity friend—a guy he’d respected and liked. The smile evaporated. And kind of like Garrett, himself. The reason Garrett had swept Colleen off her feet was because she was jaw-droppingly beautiful and Garrett collected beautiful things. Showed them off. But in addition to being beautiful, Colleen was intelligent and hardworking, witty and fun. Garrett grimaced as if mentally calculating the lawyer’s fee. Not that he couldn’t afford it. Michael understood his boss didn’t like to make mistakes, and if he did, he hated his father rubbing his face in them. “Am I here so that you can unburden yourself?” Michael asked. He doubted that was the case given the way his relationship with Garrett had evolved. “Excuse me?” Michael now wished he had scotch in his glass. Go to Montana and meet with Colleen? The thought shook him. Michael’s eyebrows lifted, even though he made it a point not to show emotion during business dealings. “That could get into some serious money.” More than the ring was worth, but quite possibly less than the lawyer would charge. “Totally worth it to get my dad off my back, see Serena happy and…you know.” He gave a small shrug before leaning back and finishing his second scotch, which Michael read to mean that he wouldn’t mind seeing Colleen squirm. She’d hurt his pride and given Hugh Hawley Jr. the ability to say ‘I told you so’ to his son. “I’ll need a more exact number than ‘a big chunk,’” Michael said. But even as the words left his mouth, he knew that the amount they agreed upon wouldn’t matter. He’d fly to Montana because he was concerned about Colleen doing battle with the Hawleys. She could be stubborn and headstrong, and the emerald was an emotional thing for her. Colleen Flanigan was not above cutting off her nose to spite her face, as his gran would say. He didn’t want to see her get herself into trouble, because despite his efforts to the contrary, he still wasn’t over her. So that’s how the story begins. I also made a Pinterest Board showing the inspirations for the story. I hope you’ll check it out! I just returned home to the Midwest from my folks place in San Diego. One of my sons’ came to visit me! When my boys were young we would enjoy road trip s, picking out different routes so that we could see the country. 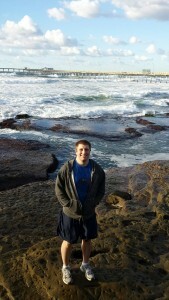 We had some amazing trips but we always ended up in San Diego so that they could visit with my side of the family. On these drives, my mind would always wander and I would try to envision what it must have been like for the early pioneers, settlers and Native Americans. All of it became inspiration for the stories that I write. For many years now I’ve flown. It is just not the same as driving. There is something lost in not being able to roll down my window and smell the sage, or pines, or ocean and feel the wind on my face. When my husband agreed to make the drive this year I was thrilled. I flew out to have a long visit and then he drove out later to spend Christmas with me. My sons also came for a shorter visit. Then together we drove back to the Midwest. It took some planning. We had to dodge El Nino effects and so we stayed SOUTH! Oklahoma roads were completely shut down with ice, Denver was a blizzard, a tornado tore through Texas. and the Mississippi River was flooding all over the place at the time we planned to cross. Never a dull moment. I was glad to get home safely. How did the pioneers handle this! I cannot imagine what it must have been like for women in the 1800s. Mail-order brides and those who traveled to a new destination looking for free land to farm or ranch often would never see their loved ones again. They must have experienced terrible bouts of homesickness. It’s no wonder that church and social gatherings played such an important place in their lives. And traveling, they couldn’t check for bad weather on their phone and adjust their route to avoid it the way I could on this trip. I’m so glad I live today and not in the 1800s! A bit strange to see this site getting closer in front of me! We were both going the same direction–EAST! continental United States given the opportunity? Comment for a chance to win a print copy of my newest release! I am holding a contest on my website for the month of January to celebrate my current release.